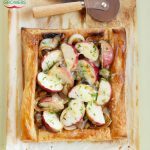 Apples aren’t just for sweet applications! Add a touch of sweetness to perfectly compliment a sharp, aged cheese and balance out smokey flavours in this apple, aged cheddar, and smoked turkey panini! Perfect for lunch! For best results, use McIntosh, Jonagold, or Crispin apples. Chef Tip: 2 lbs/1 kg is about 5 large apples. Heat a panini press or cast iron pan over medium-high heat. 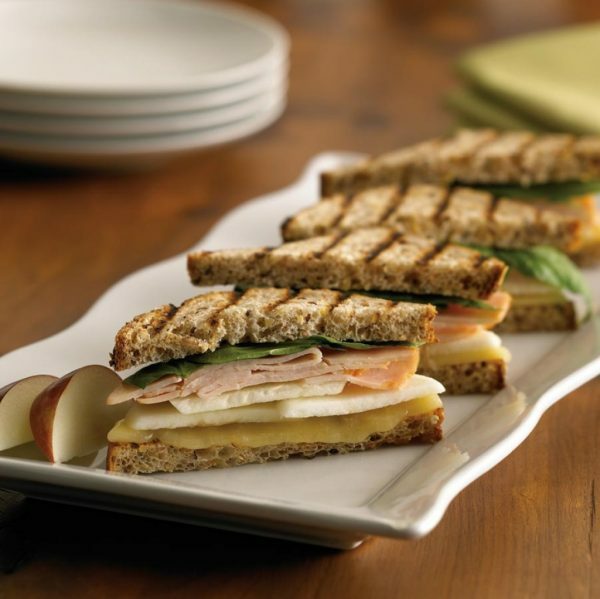 Divide cheddar evenly between two slices of whole grain bread, followed by 2 slices of apple and 2 slices of smoked turkey. Spread remaining two slices of bread with honey mustard and place on top of the turkey (mustard side down). Place sandwiches in heated panini press or cast iron pan and grill for 4 to 5 minutes turning as necessary to evenly brown the bread on both sides of the sandwich. Once cheese is melted and bread is golden brown, remove sandwiches from the heat. Remove tops of sandwiches, add spinach, replace tops and serve immediately. About 410 cal, 27g pro, 15g total fat (9g sat fat), 43g carb, 7g fibre, 60mg chol, 1020mg sodium. 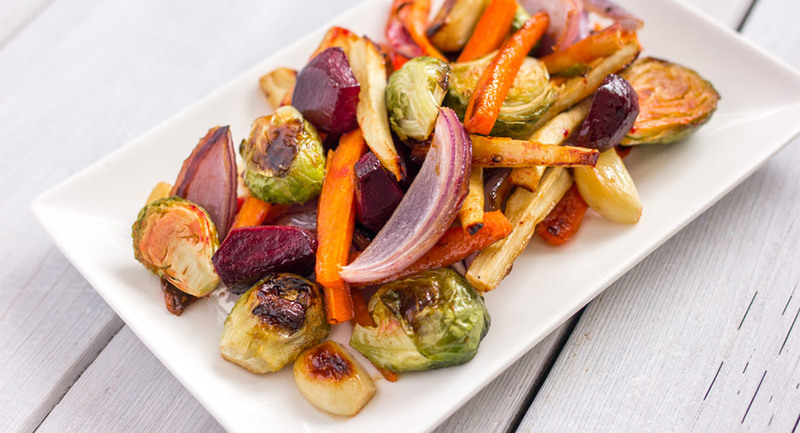 %RDI: iron 10%, calcium 35%, vit A 15%, vit C 10%. 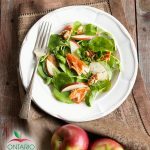 This recipe was kindly provided by our featured member, Ontario Apple Growers!